Hi Crafty Friends!!! 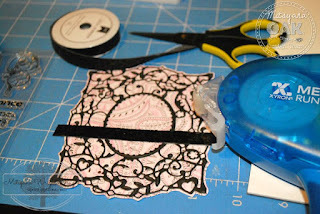 If you haven't noticed by now there is a new DT Button on my Blog!! WOOT WOOT!! That's right, I am on yet another design team!! I am proud to announce that I am a new member of the Oak Tree Stamps Design Team!! EEEEEEKKKK!! Who are Oak Tree Stamps??? 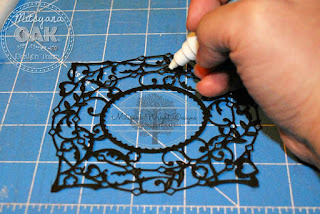 Well, if you are a crafter and an avid youtube watcher then you no doubt know who Ken Hess of Ken's Kreations is!!! 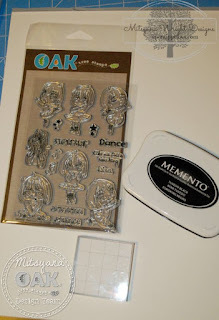 He and the extremely talented Omar Toro of Awesome SVGs have partnered together to come up with the awesome brainchild that is Oak Tree Stamps!! If you would like to learn more about these two amazingly creative guys and see more of their awesome work I'll list all their links below!! Check them out... They are both super talented!! 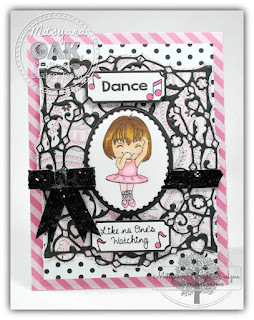 First, I stamped my little ballerina and sentiments using my Momento Tuxedo Black ink pad onto Canson Illustration paper. I colored it in using Spectrum Noir Markers in FS4 and FS6 for the skin tone; PP1, PP2, and PP4 for the tutu and shoes; for her hair GB7, EB4, EB6, TN9. I also colored the music notes in PP4. 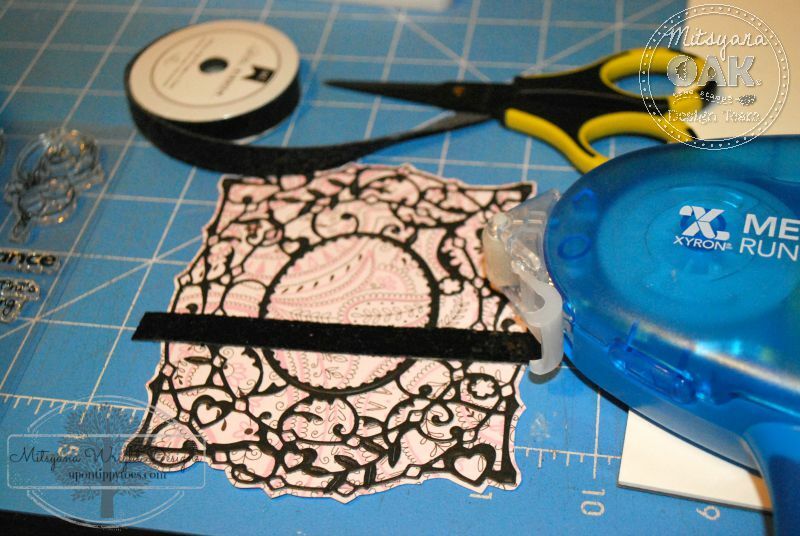 Then I cut her out using an oval die. 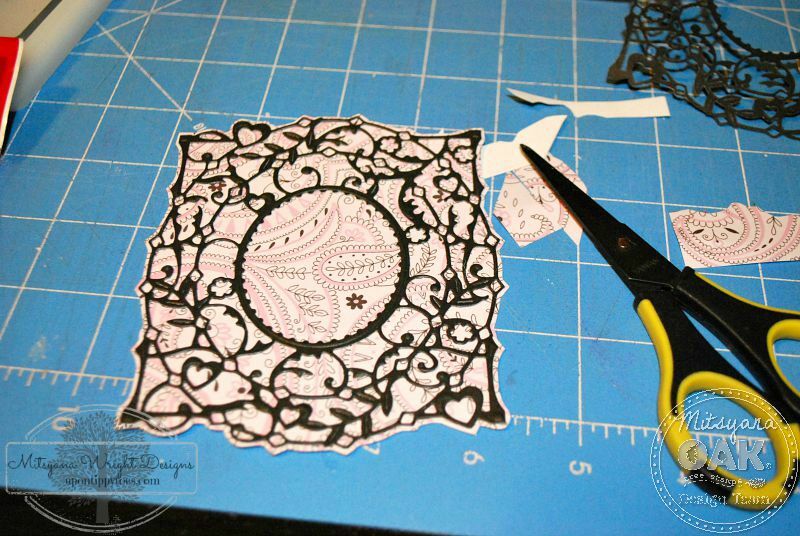 This die came included with the Best Wished Floral Frame set. I used blue painters tape to ensure that it would stay in place. 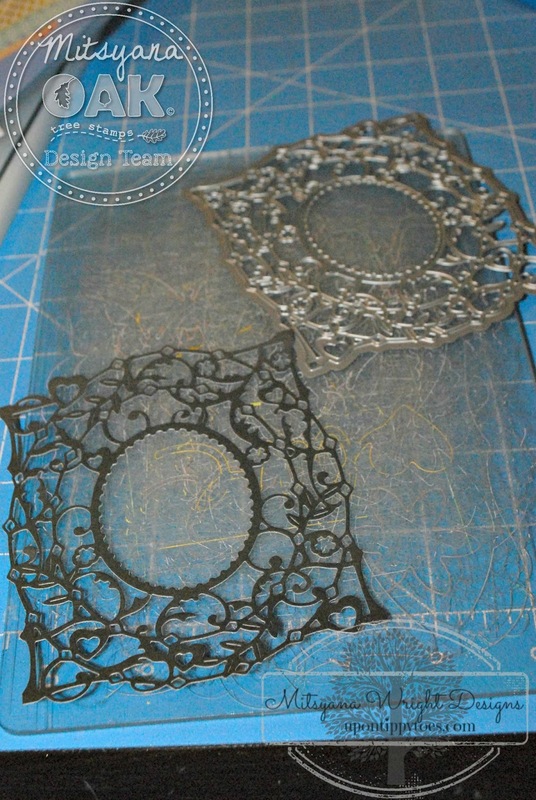 I used the tiny ticket die from my Blueprints 14 set to cut out my wording. This little die fit perfectly around all the words and phrases in the Moody Ballerina set. Speaking of the Floral Frame Set... this frame set is made by Scrapbooking Made Simple and it is just too GORGEOUS for words!! The picture do not do it justice!! Anyhooo, I used it to cut my black cardstock but my black cardstock seemed kind of on the thinner side so I cut 2 frames out. 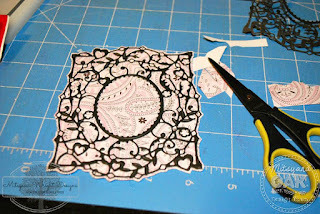 Then I used my glue pen to adhere to my patterned paper. 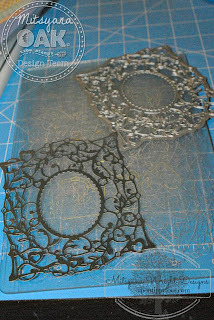 Then I fussy cut a thin shadow using my scissors... it was at this point I actually glued the second frame over the first. Then I adhered my glitter ribbon to the card front using my Xyron Mega Runner. Then I took my cut out image and added foam adhesive dots to the back to raise it the card front. Then I made a bow by making loops and fishtails out of more glittered ribbon and adhering them together with 3D Crystal Lacquer. 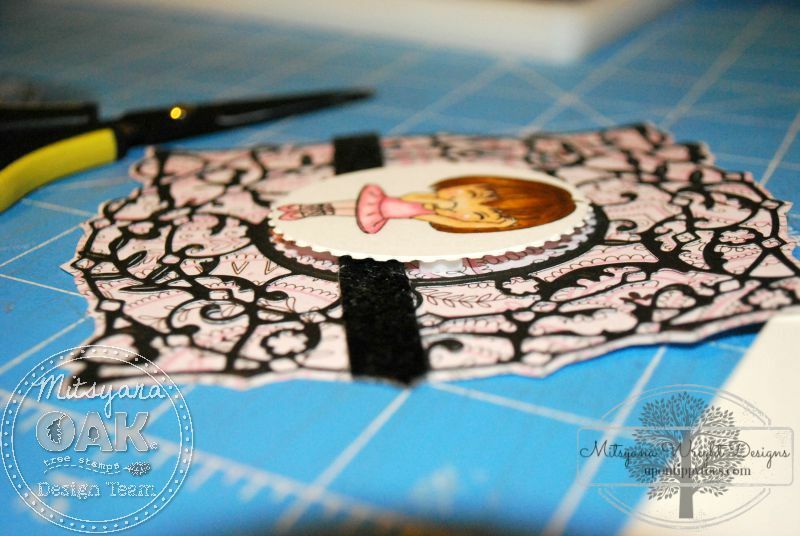 I made an A2(5.5"x4.25") sized card base out of pink striped patterned paper by Bella Blvd. 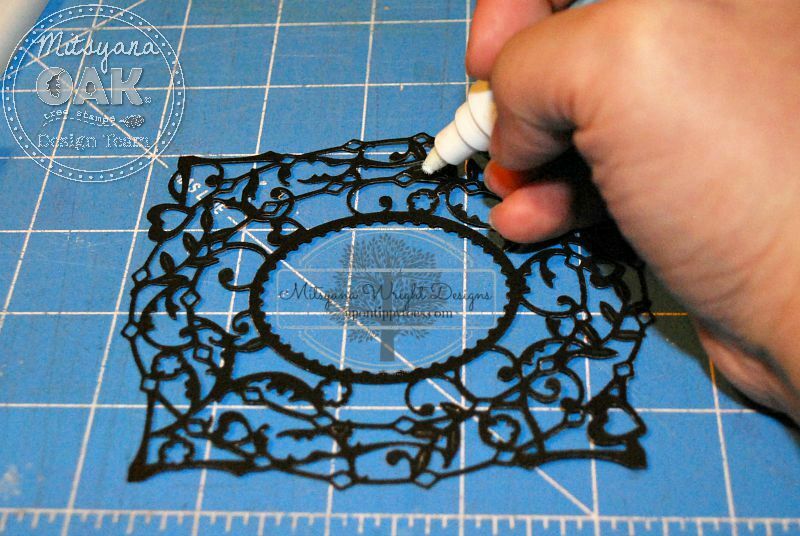 I then adhered a 5"x 3.75" polka dot paper (also by Bella Blvd) mat to my card base. And lastly, I adhered my framed piece to the rest of the card. Don't forget to check out the talented Omar Toro & Ken Hess all over social media!! What an adorable card! Love the framing of the image! 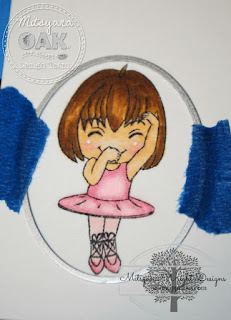 What a cute image... pretty card! LOVE the frame!